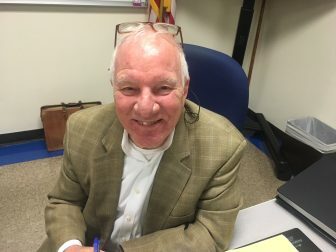 Town Treasurer Andrew Brooks told members of the Town Council on Wednesday night that New Canaan’s General Fund balances as of Dec. 31 were up about $8 million over the prior year—an indication, he said, that many residents prepaid their tax bills to take full advantage of a deduction to be capped now at $10,000. The Police Commission on Wednesday night voted 3-0 to approve April 22 and Sept. 16 dates for Caffeine & Carburetors. Police Chief Leon Krolikowski said the auto enthusiasts’ gathering “runs very well.” The Parks & Recreation Commission is scheduled to vote Feb. 14 on requested dates in Waveny of June 17 and Oct. 21. Town Council member Ken Campbell announced Wednesday night that he’s stepping down from the legislative body. Walter Stewart’s Employees and New Canaan All Sports Booster Club Board Members L-R: Rob Zimmerman, Kathy Bucci, Justin Graff, Elissa Mellinger, CJ Heron. 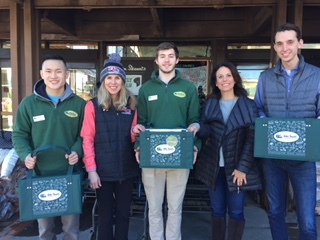 Stewart’s Market and Planet New Canaan teamed up to promote the use of reusable bags and support the New Canaan All Sports Booster Club. From now until mid-March, for every reusable bag used, 5 cents will go to the Booster Club, which funds coaching positions for all sports. This donation is in addition to Stewart’s policy of a 5-cent discount for each reusable bag used by customers. 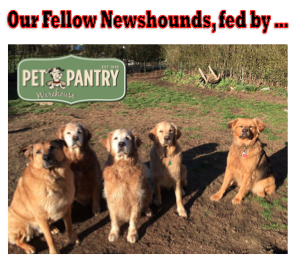 Any reusable bag may be used for the donation and discount. Stewart’s Market does sell a variety of their own bags, including an insulated bag, and customers can use their T-Bill points toward the purchase of bags. Founded by members of the local community, Planet New Canaan is a non-partisan group committed to bringing awareness about the environmental issues that face the town and the world, both today and in the future, through film screenings, presentations and community outreach. Spring registration is now open for New Canaan Softball. Join a successful program that teaches the game of softball and stresses the importance of being a team player for girls in Grades K-8. Go to www.newcanaansoftball.com for more information and register by Feb. 11 to avoid a late fee. Final warning: You have until the end of January to pay a $10 renewal fee to remain on waitlists for the three commuter parking lots in New Canaan—Lumberyard, Richmond Hill and Talmadge Hill. The deadline originally had been due Dec. 29, and those who do not pay the renewal fee will lose their places. The Police Commission voted unanimously to elect Sperry DeCew as its next chairman, starting at the group’s Feb. 21 meeting. 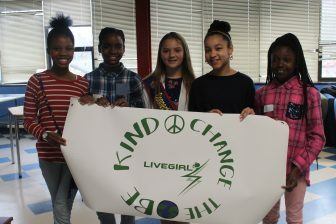 LiveGirl hosted a girl empowerment leadership summit in honor or MLK Day on Monday, January 15th that brought together 75 middle school girls plus 15 high school mentors from across Fairfield County. Lena Pacheco from the Connecticut Women’s Hall of Fame shined a light on some of the state’s most remarkable women and how they overcame obstacles and grew into confident leaders. 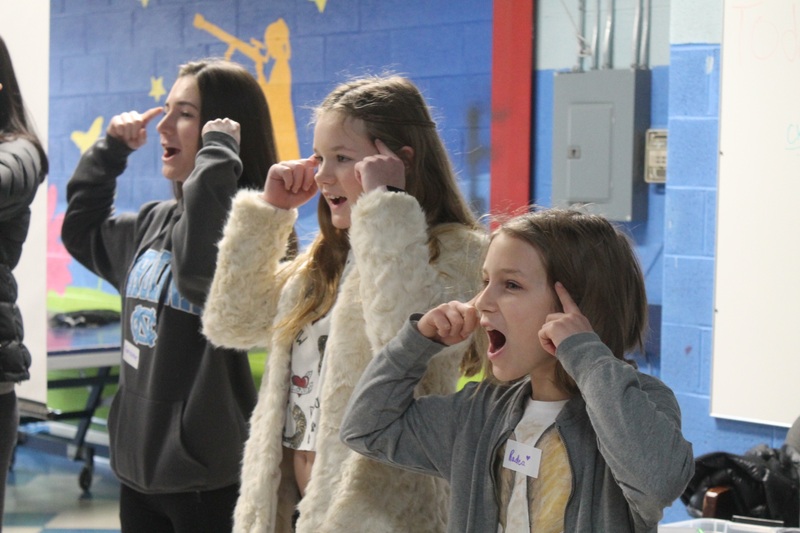 The girls also had the opportunity to meet 6th grader Jessica Brocksom, who is a Milford resident and currently serving as Connecticut’s Kid Governor. 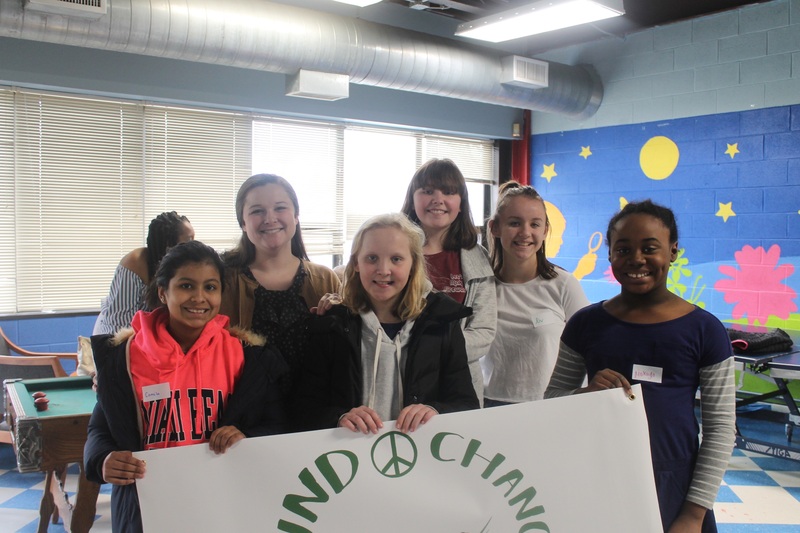 Jessica was elected in November 2016 by 5th graders across the state through a civics program created by the Connecticut Public Affairs Network. The girls also enjoyed a poetry workshop, team building games, and lunch. 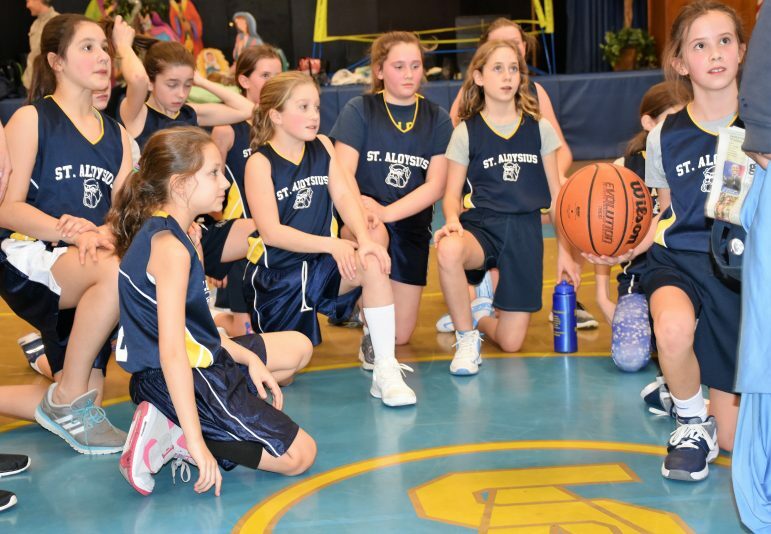 Basketball season has begun at St. Aloysius School and the Lady Bulldogs are off and running! Both JV and Varsity opened their seasons this week. On Wednesday, January 10th the JV girls held off a late rally by a solid Green Farms Academy squad, to secure an 8-4 victory. Maddie DeRosa made her junior varsity debut and led all scorers with four points. Her stellar play and defense was off the charts. Charlotte McGuiness and Norah McNichols added a bucket each. The Leone twins controlled the pace of the game from start to finish. Lauren Smith was a force in the paint. Sophia Lasky played SHUT DOWN defense to end the game. Congratulations to Caera Cope, Natalia Cota, Janie Dyer and Carielle D'Elisa and their JV debuts. On Thursday, the Varsity team traveled to New Canaan Country School for a thrilling 29-22 victory. Ava Stone led the way with 9 points, including a late 3 pointer that gave the Lady Bulldogs a double digits lead late in the game. Sammy Farrar (6 points) and Katherine Gervolino (4 points) played incredible defense all day. Each had 8 steals. Cayla Furnari fought off a stomach bug to add 6 points for the Dogs. Sara Rohan worked her usual magic scoring a huge 3rd quarter basket and adding 12 rebounds. Congratulations to Julia Sarda, Julianna LaMagna, Abbey Craco and Marina McGuiness who all shined in their Varsity debut. Go Bulldogs...we have only just begun! 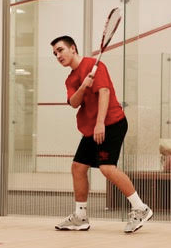 FairWest Public School Squash Association—New Canaan player of the week Teddy Manges Teddy Manges has displayed tremendous commitment over the past two seasons for New Canaan High School. From being a "beginner" player twelve months ago to becoming an integral part of the team this year; Teddy has become the back bone of the team in practice and on match day. The team has a weekly "court sprint day" and Teddy is always the first to line up at the back of the court and the first to finish. He has brought his intensity from playing Varsity Football and Lacrosse for New Canaan High School and showed the rest of his teammates what it means to be a high level athlete on and off the court. He has shown great interest in learning the game by asking questions and following instruction. He made it a point to learn and understand the rules of squash and to adhere to the strict sense of sportsmanship that we expect. He sets a great example for all with his work ethic and commitment to becoming the best squash player he can be. 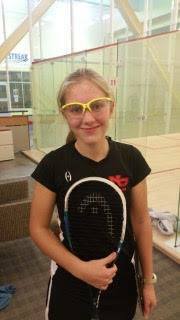 Fairwest Public School Squash Association: New Canaan's Player of the Week - Charlie Gardner Charlie has shown tremendous improvement over the past year with her squash! She works very hard on court and always ask questions when she needs to correct her technique on the squash court. She gives 100% during practices and her matches. She has a great fighting spirit and shows fairness in victory and defeat. Charlie demonstrates good sportsmanship on court and shows respect towards her opponents and fellow team mates. She exemplifies what we expect in our squash players, always giving her best, getting the most out of practice, setting an example for others through her work ethic, sportsmanship and team spirit. Michael Mauro a young dynamic attorney who ran for Town Council this last election cycle and received the next highest R vote total should be appointed to fill the vacant seat. Mike is brilliant, dynamic, dedicated and a good family man. He is verse in labor law which is a badly needed expertise on our legislative body. I agree 100% — Mikes a great fit !! !